TCI® Automotive is looking for good, usable transmission, converter and valve body cores, as well as, other various internal transmission components. 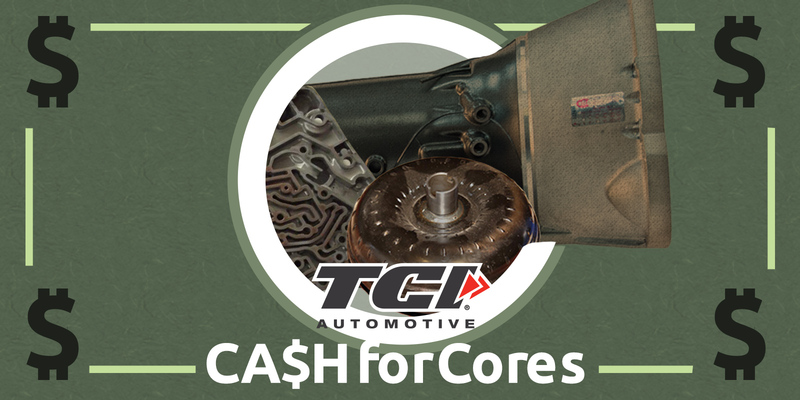 Please contact the TCI® Auto Purchasing Department at coresupply@tciauto.com for additional details on how you can get money for your transmission cores and parts. Here’s a list of what they are looking for and how much money you can expect for those parts. 298M CORES SQUARE PAD ?